Smoky Mountain Monet is a favorite year after year in my gallery and at art fairs. This picture is an example of how I like to use an intimate landscape to create a mood or reflect an emotion. This picture was taken in the Tremont section of the Great Smoky Mountains National Park. It’s interpretation of autumn is very much Impressionism in style. The actual scene in the woods was quite ordinary … just a small pool, barely more than a puddle. 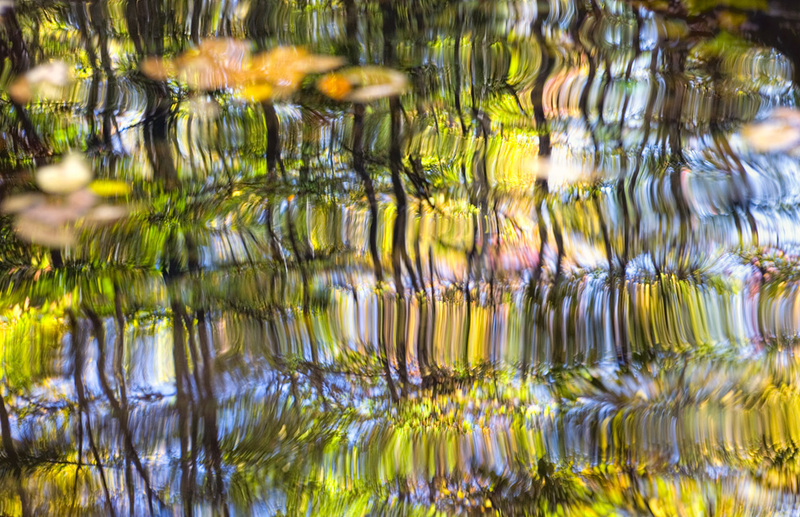 But it caught my attention in the way that it was reflecting the fall canopy overhead, while at the same time having some leaves floating on the surface of the pool. 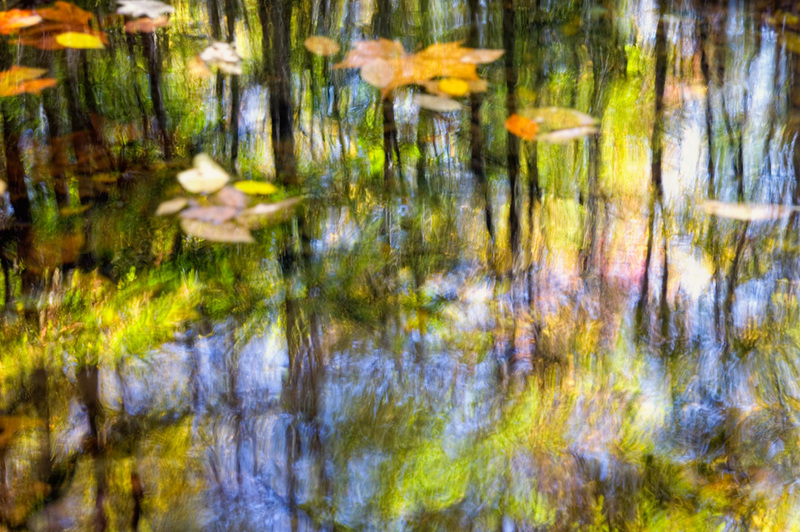 I’m not sure if I consciously thought of it as “Monet-like” at the time, but I set up the camera and tripod and took over a dozen images using different exposure times. I knew that the gentle movement of the water would create a neat effect, but wasn’t sure how much movement would be the most pleasing. The alternate picture below shows how a small change in the exposure time makes a big difference in the result. Please stop in and visit me to see the complete display of Smoky Mountains Photos at the William Britten Gallery in Gatlinburg, TN. Well Monet is a stretch, but nevertheless very nice images. “Better than Monet!” And he’s one of my favoites, too. My husband surprised me with this one for our anniversary, knowing that I loved it when I saw it in your gallery! Thanks, Monica … Hope you enjoy the Monet!